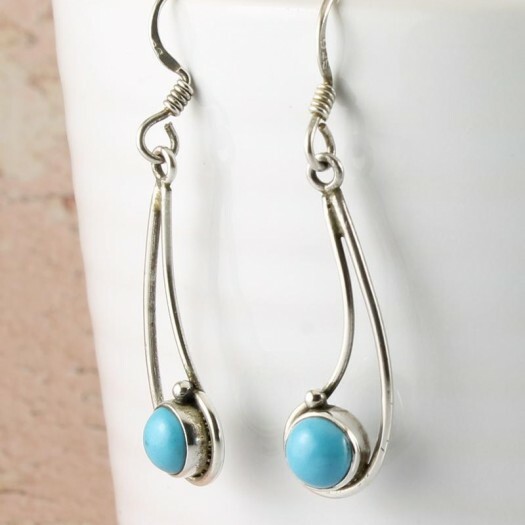 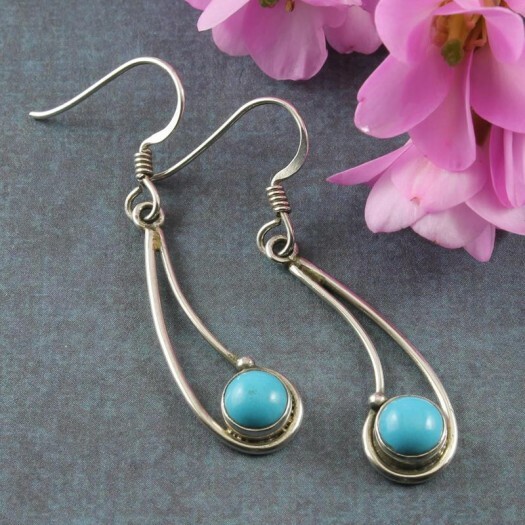 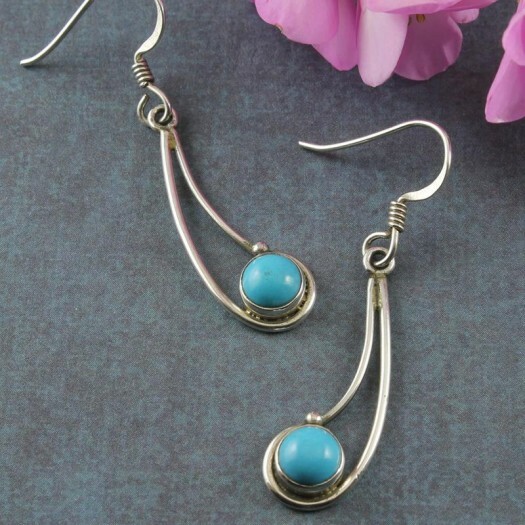 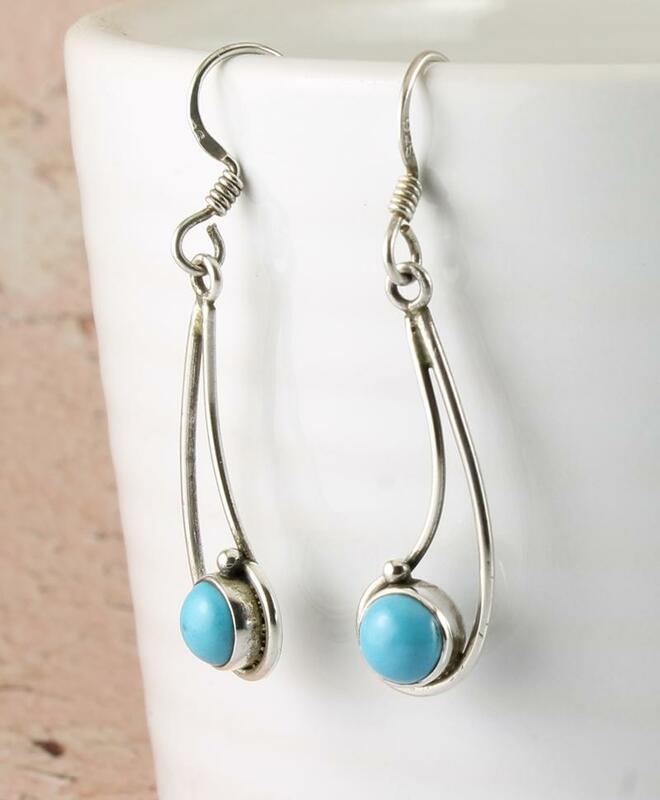 These exquisite earrings each feature a small, round, convex, polished Turquoise gemstone, representing a comet poised at the end of an artistically curved openwork wire comet’s tail. 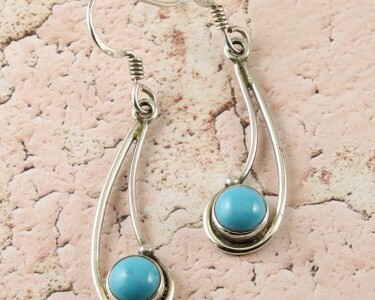 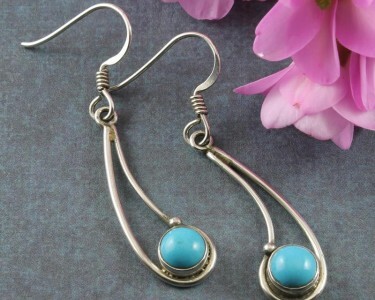 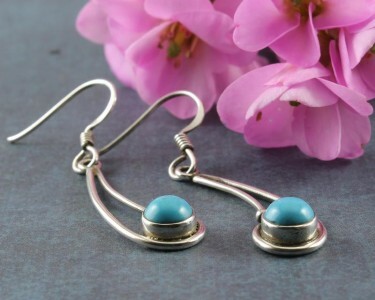 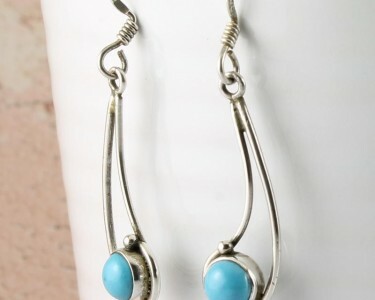 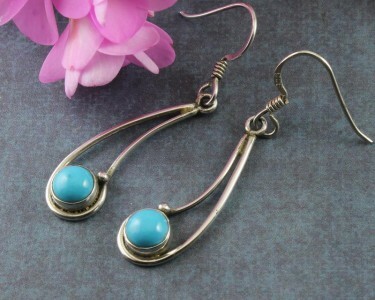 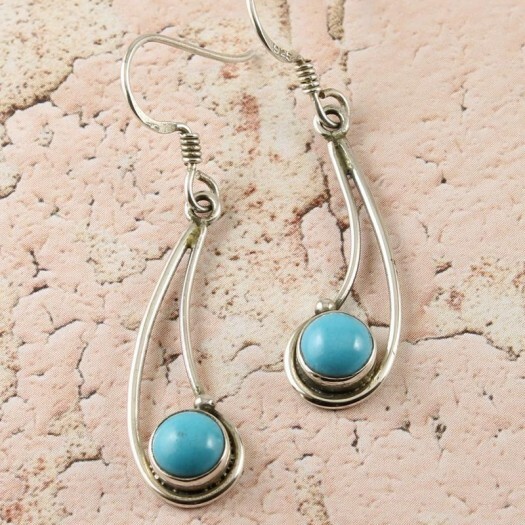 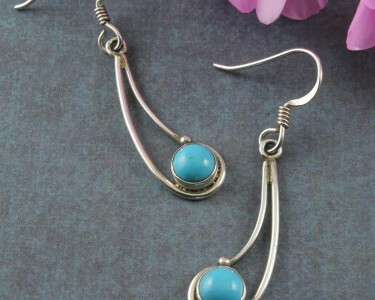 These earrings are fastened with Sterling Silver hooks. 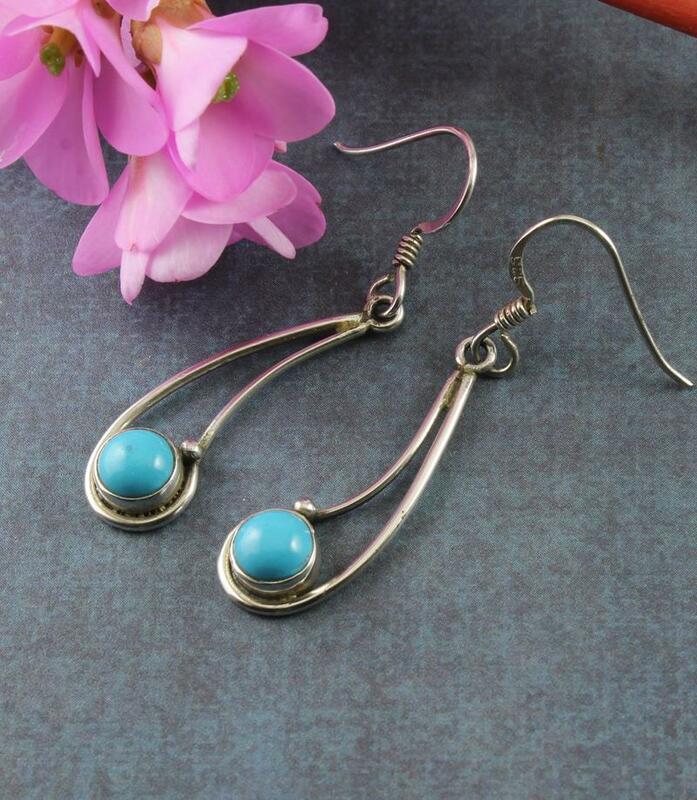 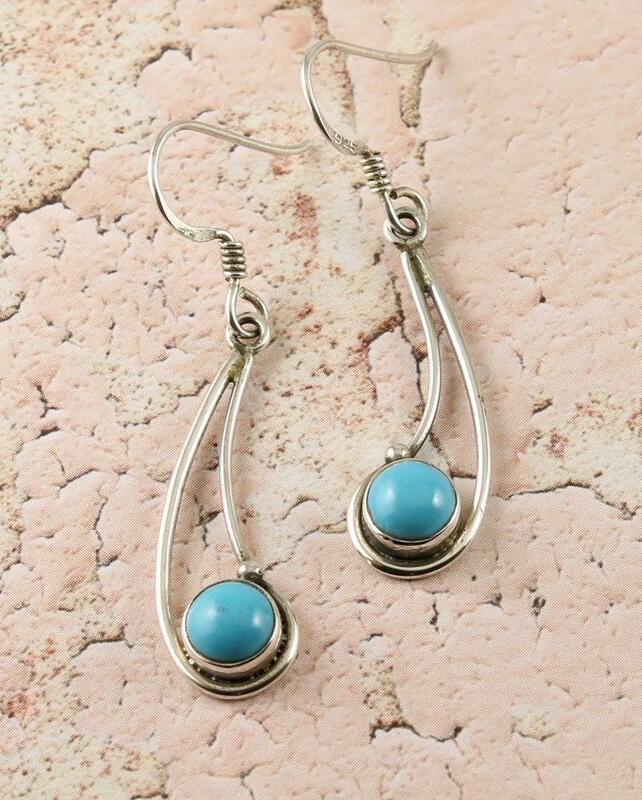 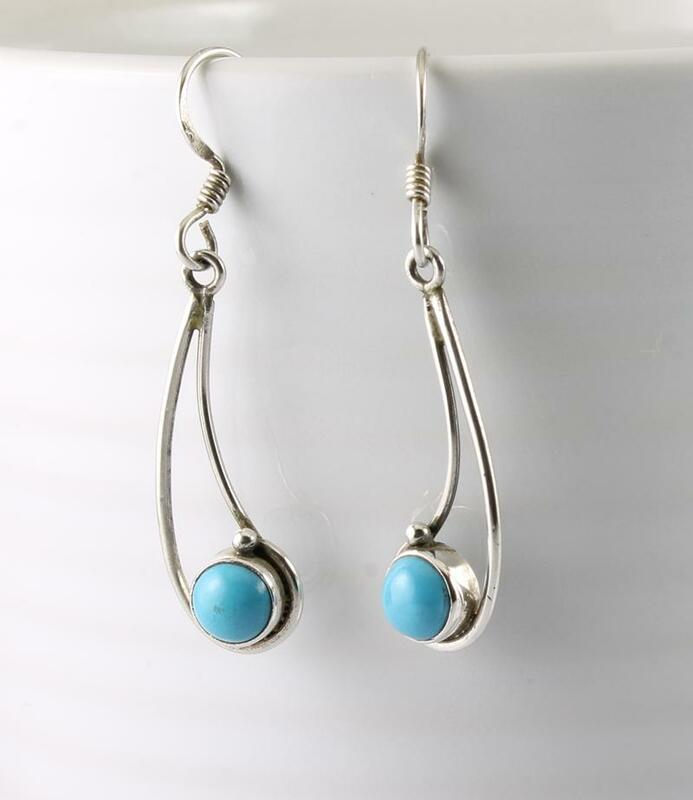 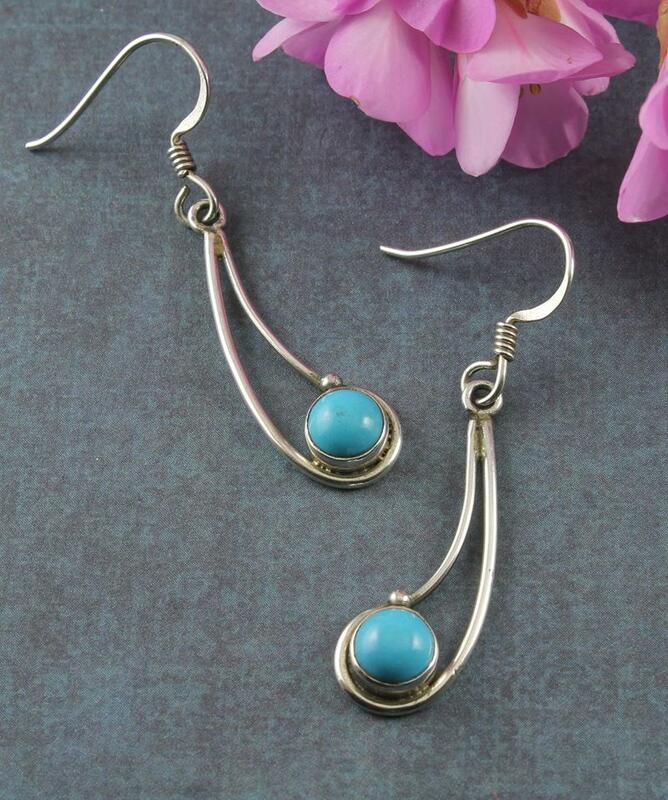 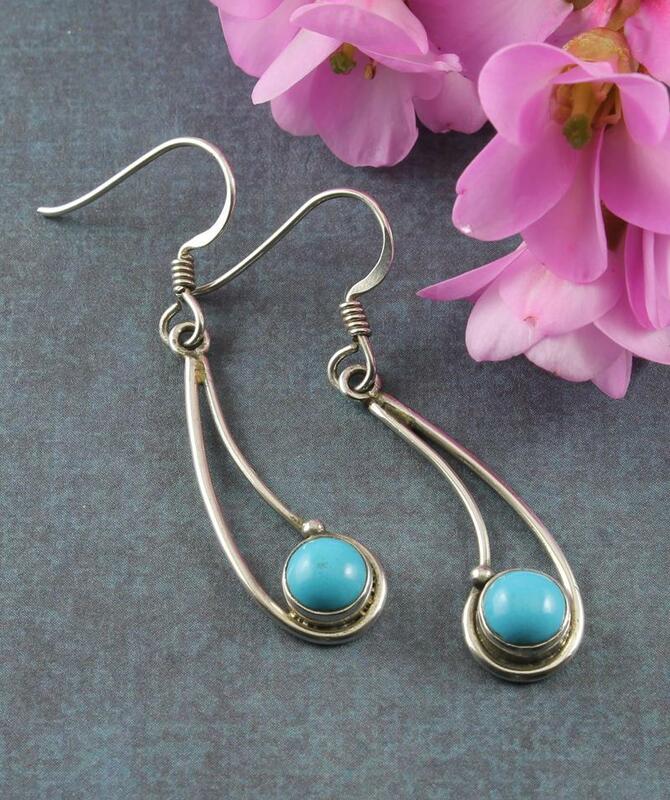 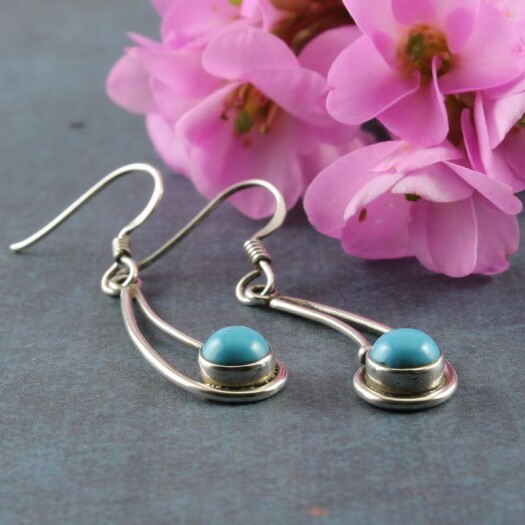 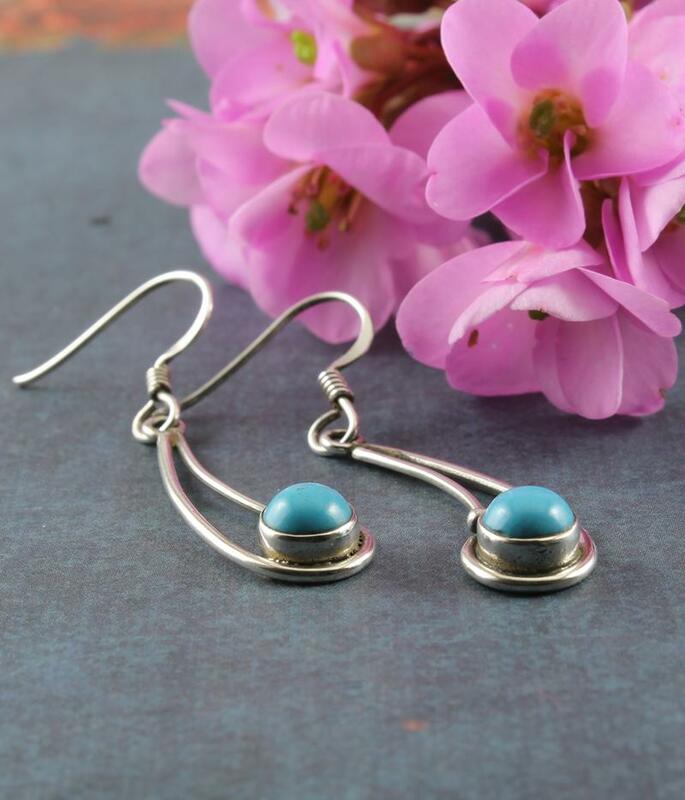 These sensually coloured blue Turquoise comets, with their Sterling Silver wirework, will never cease to attract an audience appreciative of your taste and refinement. 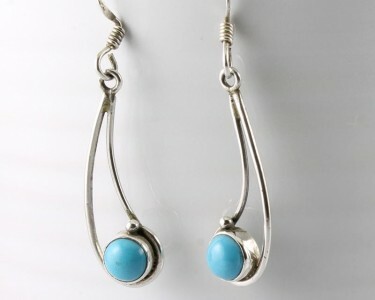 Size & Fit : Earring drop: 4.3cm/1.75in; Earring length: 3cm/1.19in; Earring width (widest point): 9mm/0.31in. 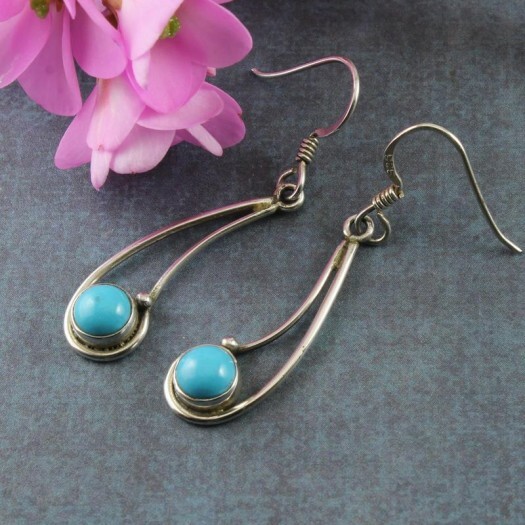 Wear It With : These earrings are subtle enough to go with most of your outfits, and will look especially hypnotic with white, black, and denim. 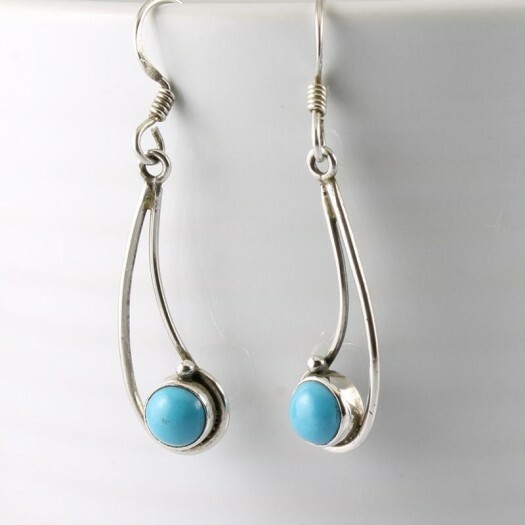 And you can stunningly match your other Turquoise and Sterling Silver jewellery.